Purchased from the Inuvialuit carver in 1975 in Tuktoyaktuk, Northwest Territories, this exquisite piece is part of a collection accumulated over many years while flying land-use surveys throughout the Arctic for the federal government. The sculpture is signed in Inuvialuktun (Western Canadian Inuktitut). 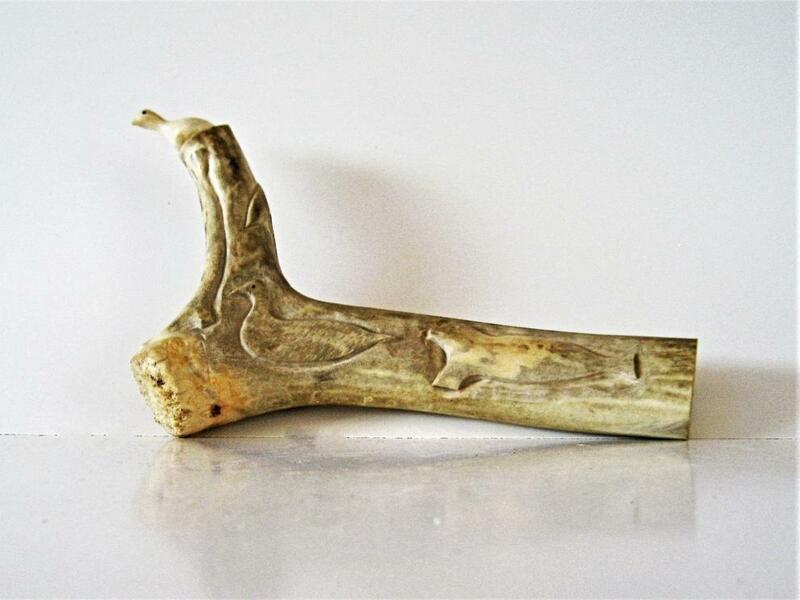 The bird is carved from walrus tusk and the base is inscribed caribou antler. 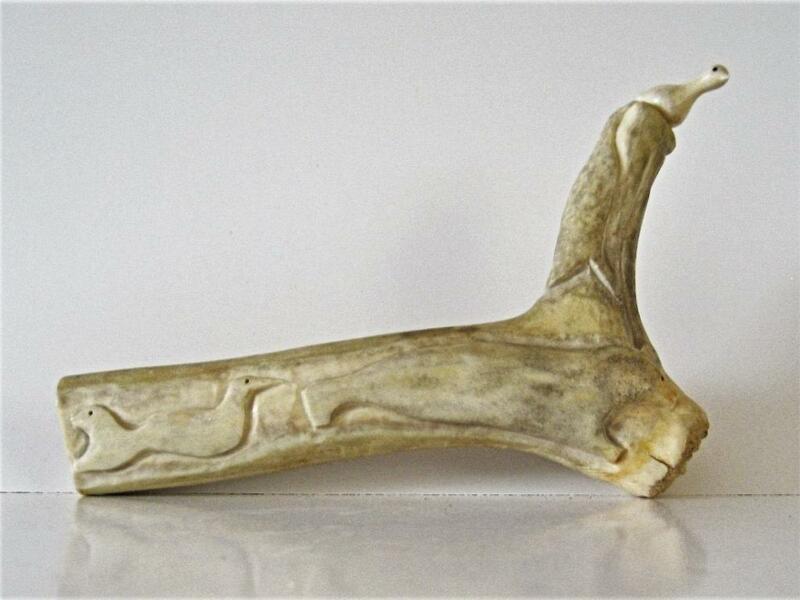 The bird is 1.5” long by 1” high and the base caribou antler is 8” long by 5” high. The total weight is 13.2 oz.